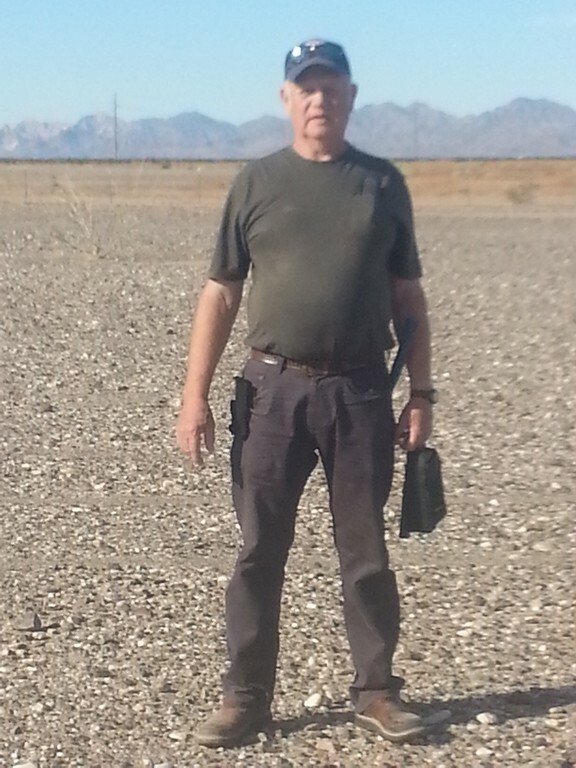 We got away from the cold for a little while by going to Quartzsite, Arizona. 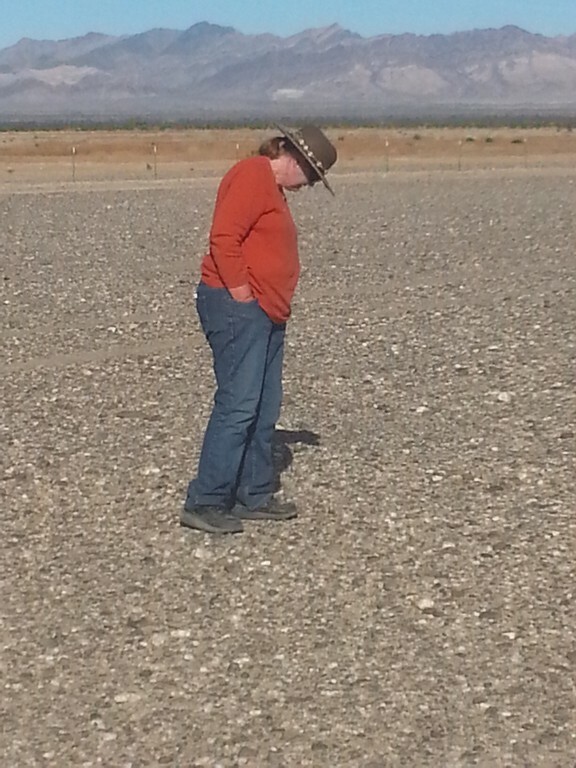 Amongst all the shows and people and things to do, we decided to go out and see what we could find in the desert. 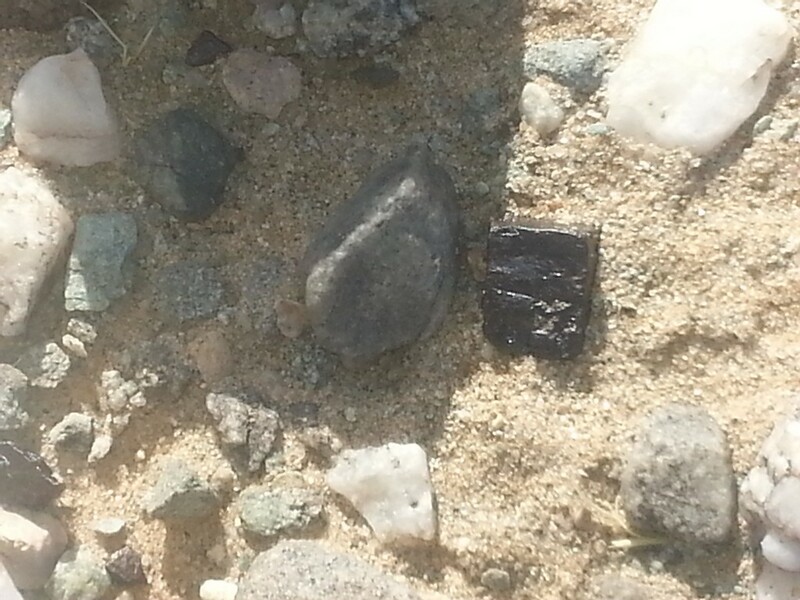 A little west of Blithe, California we found some unique little square crystals. They were lying among the gravel found on the flat washes. They are black and cubic and are heavy. They are called goethite (after pyrite). They reflect the light of the sun so you can see their square shapes shining back. 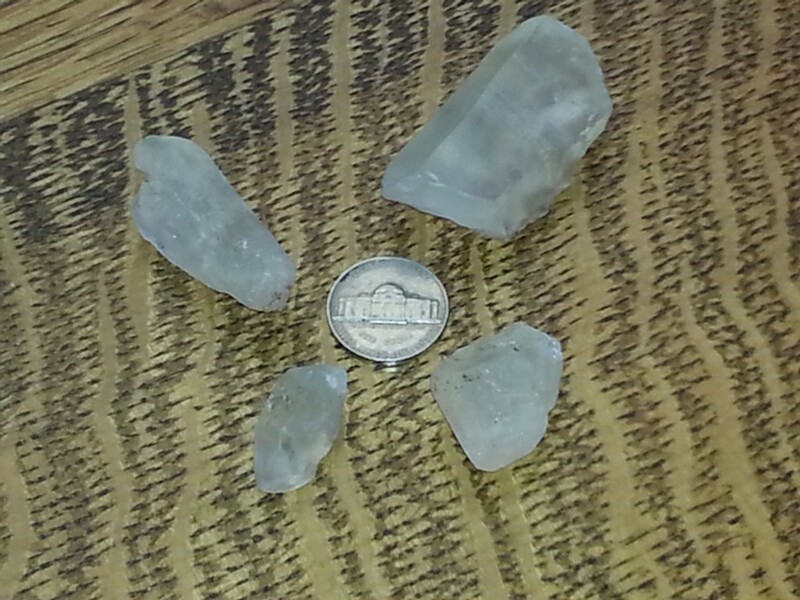 We also found some mostly clear sand blasted somewhat terminated quartz and some small pieces of petrified wood. Oh! 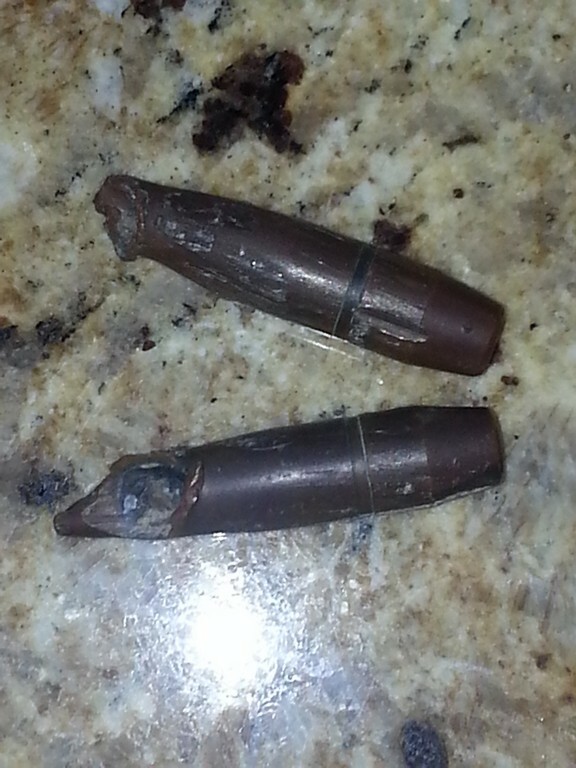 and a couple of 50 caliber machine gun bullets. They probably came from the maneuvers of General Paton’s tanks that did practice in those areas. It’s hard to say, but it makes a great story. Stay tuned for our next adventure…. Sometime this spring! This entry was posted on Wednesday, March 4th, 2015 at 10:06 pm	and is filed under Jan 2015 - Field Trip to Quartzite, AZ. You can follow any responses to this entry through the RSS 2.0 feed. You can leave a response, or trackback from your own site.